Second stab at a theme. This one will use a static background image for each platform when a game is launched. So it does not use fan art from each game. The images are those supplied in the BigBox Unified and Unified Redux themes. So I claim no credit to any images. I only copied them over from those themes. Credit to @Jason Carr and @CriticalCid for those themes. I claim no credit to any artwork displayed or included in the theme. If you know the creator please mention so I may credit. IMPORTANT: Launchbox 9.2 or higher required for Startup Themes. 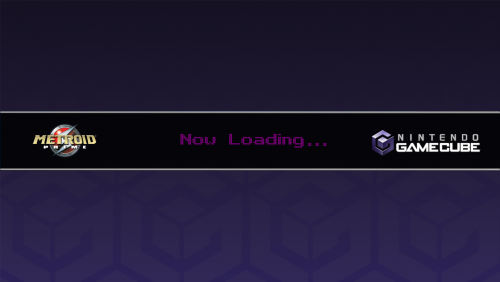 Startup Theme: has a header style framed banner that will display "Now Loading..." (text color does change by platform. I used common brand colors or as close to), the game's clear logo, and the platform's clear logo. Main field will display 3D Box, Screenshot, and Cart or Spinning Disc (for CD based games) are in the main view. IMPORTANT: Make sure you set your image priorities in Launchbox for these categories. Also set backup images in case you are missing image types for a game. Shutdown Theme: uses a static image in its current default state with the words "Thank you for playing..." displayed. You can use any static image you want. However, please note the text in the default one is scaled to a size to fit in the background image's marquee. There is an alternate Shutdown xml file that will be pretty generic. The Shutdown text in that one is in the middle of the screen and would be better for those preferring their own image. There are read me files in the folders with simple steps to change the shutdown. If you prefer use the game specific backgrounds and games images in the shutdowns I will be uploading a version of this theme that will use the game fanart backgrounds. 1. Download the Framed Platform_Static Background v1.0.0.zip file and unzip it into the Launchbox\StartupThemes\ folder. 2. Install the supplied font. 3. In Launchbox go to Tools>Options>Game Startup and choose the appropriate named theme. I will be adding more platform xml files in an update after the holiday. There is probably about 100 in there now. Is there a way, by editing the xml file, to have the video for the selected game, without audio, show up instead of a screenshot on the right side? I would assume if I point to the video path I could but I'm not entirely sure. Thanks. It would require a little bit more code than that. Also I do not believe videos are supported right now in the startup themes. Not too savvy on coding so not 100% sure. Figured I'd ask. Not a big fan of screenshots so I'll probably point to different artwork. Thanks. @Retro808 Just wanted to say thanks! I love what you have here, but I wanted to ask if you could do a request? I don't have all this artwork or want to take up a lot of space, but I still like this theme but asking if it could be a little more simple. Could all the art be removed except game logo and platform logo then moved to the middle? Could you just make 1 theme platform.xaml and I could just copy it to make the rest? Here's pic of one you have that I changed to what I was looking for. Thanks again and any help is appreciated ! I am actually in the process of simplifying the theme. Jason provided an update and it will allow less artwork now. The theme will still require the platform background artwork as that is the basis of it. Do you want to use just one background image for all platforms? If so I can make a version for that. Also you would not need to make any more xaml. I would make just a default and it will work for all since you do not want disc or cart images. Let me know and I can get an edit over to you. I still like that each platform has it's own background image. I hope at some point Jason can make the shutdown artwork random to where you can just put some shutdown/game over images in a folder and it will randomly choose one. But until then I love how yours works, it's just simple. @Sithel Test this and let me know if it will work. If you want random platform art it has to have all the images in the backgrounds folder. You can remove art for any system you do not have to reduce size more. I tested with quite a few systems and no issue, but let me know if you have any. "Simple" has no game images, cart/disc images. 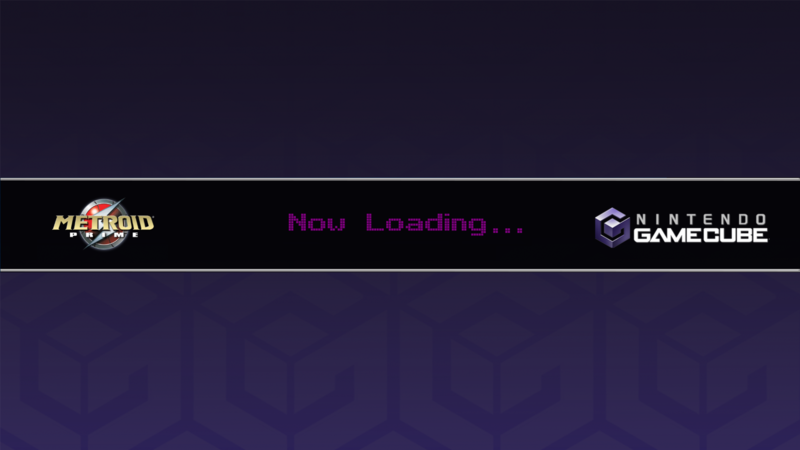 Just Unified backgrounds, Platform clear logo, Game clear logo, and Now Loading text. One thing to note and I don't believe it's your theme causing it but maybe something on Jason's end. If I apply the theme on BigBox, doesn't matter if it's the simple or framed theme but the shutdown game over text and image won't apply. But If I go into Launchbox and apply the theme there first, it will then apply the shutdown game over text and image. It will then work in BigBox and LaunchBox. Just thought I'd mention it because I don't think it's a issue on your end. Other then that, I love the simple theme, just what I was looking for. @Sithel Thanks for the heads up. I tested with several themes and see the same as you. I will let Jason know. Glad the edited theme is what you wanted. Thanks @Retro808! Ive been waiting for a Unified platform bgs startup theme! Will use your modified version two posts above as well if you dont mind. This, in conjunction with the Unified bgs as well as the unified overlays I did will make the games look like they are appearing inside BB. Cheers! Thanks @Kondorito glad my feeble coding skills is somewhat useful in the community. 🤣😂 If the simple version of the theme is at all useful to you please do so. Thanks again. The background images don't seem to show up at all for me. Anything I can do? You should not have to do anything as long as you unzip the theme in the correct folder. Make sure the subfolders are not altered as the theme looks for the images to be in an exact specified location. In the pic pay attention only to the folders. I am modifying the theme so xaml files may look different in the pic than what is currently in the download. The Framed Platform folder should have subfolders like below. If the subfolders are altered the theme will not locate the images. I can confirm that this is the case, yet the BGs are still not showing up. Just to be sure, I reinstalled the theme. Does the images require IEXPLORER.EXE by any chance? Any chance you have the background fade slider all the way up in your settings? If so adjust it. iexplorer.exe should not be required per Jason. Nope, its all the way opaque on my end. I decided to remove these lines of code and voila- the backgrounds were visible to me now! Granted I'll have to make this change for every platform, but now this theme is working great. @Mithrot I do apologize. I honestly forgot to look back on this thread. I am a bit puzzled why you are the only one reporting the issue and it is that code that fixed it. I see others are using it without the same affect. I wonder what could be different in your settings that is making that code interfere.